Time for an admission: I’ve only really listened to The Hazards of Love (the previous Decemberists record) once. By that I mean once through, which is ultimately the only correct way to hear the sprawling rock opera. But it’s exhausting. The songs are dense, the storyline overwhelming, and the music not immediately welcoming. I was disappointed, especially considering the high praise I’ve had for the band in the past. But that all changes with The King is Dead. 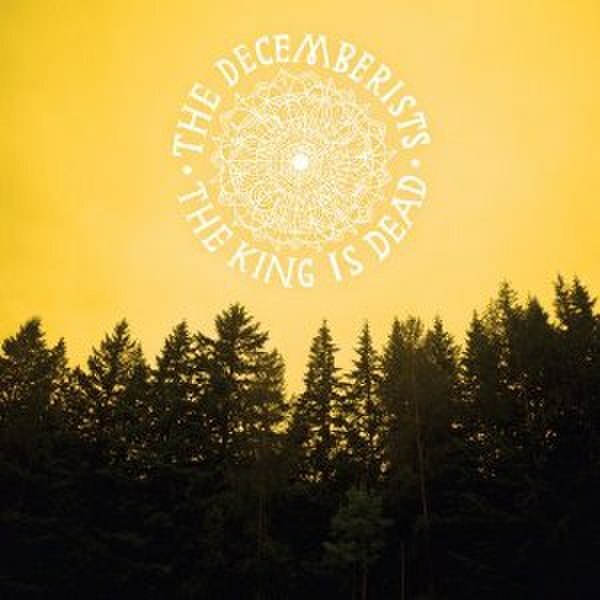 Suddenly the Decemberists are accessible again, and it’s thanks to a real change in musical attitude. I’m a bit late on reviewing this one. I’ve been listening to Tourist History since September, so I hope that at least a few of you got some exposure to this Irish band. The brilliant blog We All Want Someone to Shout For had covered these guys for a while and that writing ultimately pushed me to listen to the band. Tourist History is rough to critically review because it doesn’t feel particularly different or innovative. But what makes it stand out is effort, honesty and the most infectious music I’ve heard since Weezer’s Blue Album. You’ve already heard this album. It leaked last week, it came out yesterday, and it was streamed on NPR for some time between those two dates. If you wanted it, you certainly own it. If you dislike Arcade Fire, you’re wrong but this won’t change your mind. I think this is a real contender for Album of the Year; it has great depth and has rewarded multiple listens. But you know all of this. So why should I even bother with a review? Besides a clear plea for internet credibility and attention (every music blog/site will have some review of this), I’m actually out to compare and understand this album. I have two directions to follow: one in terms of the whole Arcade Fire canon, and the other in comparison to the greatest album in music at the time of this release. That second part will be in another post. As per the score, a brief review: at first it’s good but not overly great. Then you listen again and it’s better. You repeat this about 12 times and it’s spectacular. I don’t know what trajectory it has now, but the whole this is just so cohesive. The music and themes hit big like U2, but keep that work ethic that the band is known for. The hype doesn’t really match the album – this is crafted and lovingly executed. People are too loud in screaming about the album. Let The Suburbs work on its terms and you’ve got a winner. Funeral is an epic, emotional masterpiece of rock. It is full of amazing anthems, great string parts, and upbeat songs. While the whole thing is amazing, there are very distinct highlights: “Rebellion (Lies)” and “Neighborhood #3 (Power Out)” are clearly the best songs. These have been the best Arcade Fire songs since their release. They surge with power, getting you to either move (with the latter) or feel shivers down your spine (with the former). Neon Bible is a darker album, with a more thunderous bass and moodier atmospherics. It is far more refined, and not nearly as optimistic. This album is weaker than its predecessor, but underrated. There are lulls along the way, but that leaves the top tracks on this release to stand much taller. “Intervention” is amazing, and “No Cars Go” is electric. The Suburbs does not have these highlights. No one songs rises above the others in any significant way. The opener (“The Suburbs”) is quite similar to others on the release – mid-tempo with meandering guitars. Even the hard-rocker (“Month of May”) isn’t very noteworthy. Perhaps the only song to be a semi-standout is “Sprawl II (Mountains Beyond Mountains),” but that’s mainly due to the differing musical style. I can’t see any of these songs being Song of the Year contenders. But I propose that this is far better than Neon Bible. Why? Read on. I really didn’t like this album. I place some of the blame on me, but much on High Violet. I finally got this album in an absolute downpour of music. Flashy stuff from LCD Soundsystem and Janelle Monae were quick to get my attention, and I’ve already commented on “Compliments” brought me back to Band of Horses. It took me a long time to finally sit down and listen to High Violet with real purpose. Basic overviews left me uncertain, particularly with such an album low-point tacked on the front (“Terrible Love”). I thought it was like a cheap imitation of Boxer. I just couldn’t get myself to like it. Then it clicked. The key for me was hearing this in a quiet place with a decent set of headphones. Unlike much in rock today, louder isn’t necessarily better here. Instead, The National have refined the darkest, most somber moments from their past work. Everything is very quiet, very textured. After the intro song, everything operates in shadows. The effect is mystifying and allows rewards with each listen. But many bands are rewarding – why is this one so praised? We can thank the musical composition and the lyrical content. There are dense layers here, but never they’re never needless. Instead there is a real atmosphere about this record. Sometimes that term is condescending. Here, it’s the perfect compliment: the album is sonically cohesive, while managing to explore. Pianos, deep thudding drums, big bass, and appropriately sparse guitar all work well to paint a sonic picture. Lyrical content is the next step on the path to excellence. The singing is contained this time – tasteful background singing is met by a beautiful tenor lead (and this time without pointless yelping). The words also manage to find reasonable meaning. Everything seems of normal life and observation (yes, even the brains part), but is described in a slightly vague way. While seemingly self-indulgent, the poetic technique works here as the sounds bring the rest of the mood. Perhaps the best praise I can offer High Violet is my lack of a favorite song. It’s not for lack of trying – I’ve been looking for one representative piece. But each time I hear this record, I think “wow, this is a fantastic song,” only to repeat the act about four minutes later. There are little moments all over the album – the part about the “hole in the middle” in “Anyone’s Ghost” where the cellos strike, the intro distortion to “Little Faith,” the light “ahhs” of the background vocals in most every song. Then there is the line about the money in “Bloodbuzz Ohio,” or maybe the exhausted refrain in “Lemonworld,” and the chilling “silver cities” of “Conversation 16.” Each song brings something, and manages to impress for the whole track. I can’t overstate how suddenly and drastically this album has changed for me. It went from a brooding failure to follow up on Boxer to a clear frontrunner in this already-packed year of music. 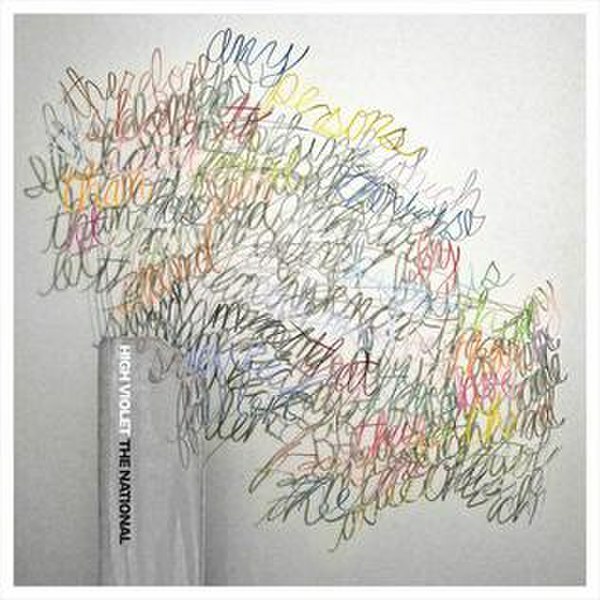 High Violet is both the most consistent and impressive release from The National. It takes some time, but this is a must-own record. Independent or alternative music has been pushed into a corner. I know that sounds stupid, but I believe it to be true. Do you know what happened to ska music? In the 1990s, Reel Big Fish and The Mighty Mighty Bosstones managed to hit the airwaves, and then Less than Jake accidentally got a hit with “She’s Gonna Break Soon,” but where has this brand of punk gone? 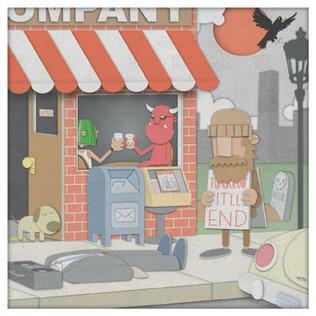 The answer lies in the exploits of Streetlight Manifesto. Ever since forming in 2003, Streetlight has brought a sense of greater musicality to the world of ska. Instead of the power-pop call-and-response of Reel Big Fish, Streetlight actively sought to build songs around the horns. Even more importantly, the songs weren’t just with little flourishes. Observe the song “We Will Fall Together.” The whole intro is layers of horns, letting the trumpet and saxes drive the entire melody. The song is technically and sonically impressive, showcasing horn players with a real sense of tone and dexterity. As a trumpet player, I respect what they’ve done. Enter their newest release, the first of a set of covers in a project titled 99 Songs of Revolution. Volume 1 offers eleven songs that the band has viewed as important to their lives and careers. Somewhat unexpectedly, it is through covering songs that we get to see Streetlight at their most innovative. In order to turn each of these songs into ska covers, the band has to add a bit of speed, a bit of swing, and then build a horn part from scratch (for most tracks). The results are very satisfying. Starting right from the proper horn into in “Birds Flying Away,” Streetlight is in excellent form. The instrumental harmonies are clear and well-executed. Not too long ago, I made some pretty outlandish claims about the awesomeness of Grizzly Bear. A few months before that, Pitchfork made some insane claims about Animal Collective. With such heavyweights out there, it would seem that the album-of-the-year talk would be very heated between these two bands. Well folks, it’s time to introduce a new player in that same conversation. 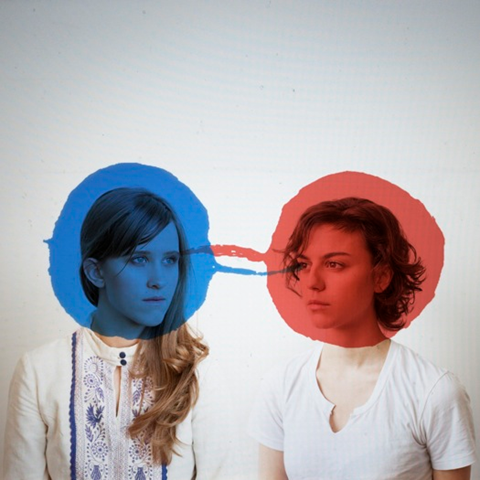 I had never listened to Dirty Projectors before, so the various accolades thrown to Bitte Orca were a bit surprising to me. But, with all the good press came a reason to find out what the deal was. Without much warning, the band changes gears for full female singing in “Stillness is the Move” and the reflective “Two Doves.” A string section also becomes more prominent, rising and falling to accent the tension in each song. Open admission: I don’t really care for Coldplay. That’s a careful selection of words – they aren’t a band to dislike, I just don’t particularly care about them. Of course, they do have a few reasons to love them (see: “Clocks” and “The Scientist”), but I’ve otherwise considered them to be a mediocre Radiohead-cover band (see: “Speed of Sound”). But then they did something a bit unexpected and released LeftRightLeftRightLeft for free. I like free things, even if they’re mediocre. Particularly, I like free music – this external hard drive has plenty of music I don’t always listen to, so why not add this? I am here to bring glad tidings – this is good free music. I’m not going to discuss the benefits or failings of the original recordings, but the quality of live music presented here is really excellent. Layered sounds come through quite nicely, and Chris Martin’s voice never overpowers the instruments (and vice versa). It’s very clear that Coldplay are excellent showmen, bringing quite a bit of energy to their performance. It’s an interesting combo on this side of the headphones – there are big bold sounds (like U2), but presented in a personal way. It’s like the band really cares about every note and word, yet manages to translate their feeling to the crowds. The majesty of “Clocks” was particularly gripping to me. I personally view the song as one of the best of this decade, offering musical cohesion and emotional fervor. Live, the crowds are justifiably excited by the opening. Suddenly, this special, individual song becomes global and powerful. A song that jerks tears can also build momentum and bring forth clapping from the masses. It’s pretty awesome. The crowds of the recording are also an important note. They’re never dropped entirely from the mix, but are kept generally low in most cases. I think this is a good decision, allowing the music to speak without annoying whoops jumping in the way. The quality of the individual songs can be argued, but that’s left for reviews of the individual albums. 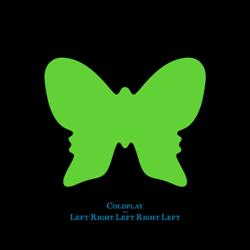 What is in LeftRight is a great introduction to Coldplay and a very nice free album to add to your collection. The score below isn’t a number (but so you know, the music would not get a 10). Instead, it’s a clear reminder that free things are excellent, and we should be very thankful for this one.